An off-duty sheriff’s deputy who was shot when he tried to wrest a gun away from a man involved in a confrontation with the deputy’s brother in the Gaslamp District following a Metallica concert testified Tuesday that he rushed the suspect because he didn’t want his sibling to be killed. 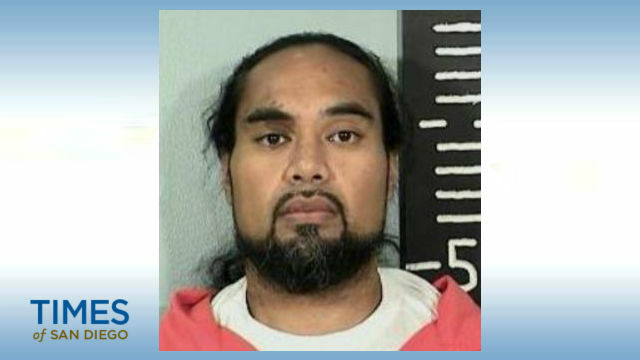 Jason Philpot — an 11-year veteran of the San Diego County Sheriff’s Department — took the stand as a retrial got under way for Ray Pitoau, who is charged with three counts of assault with a firearm. A jury in July deadlocked on the assault charges but found the defendant guilty of being a felon in possession of a firearm and two other weapons counts. The witness said he was confused and looked up to see Pitoau standing several yards away with a gun at his side. “I saw him raise the gun and point it at us,” Philpot testified. Philpot said he used his left palm to strike Pitoau on the right forearm and grabbed him around the waist in an attempt to get him on the ground. Pitoau, 38, got his right arm free and fired two shots, hitting Philpot in the upper right chest and arm. One of the bullets went through Philpot’s body, richocheted off the sidewalk and struck a passerby, said Deputy District Attorney Michael Reilly. Philpot testified that he thought he only had about a minute to live, so he chased Pitoau for a few yards but retreated when the defendant dropped the gun and stopped to pick it up. Reilly told the jury that Pitoau — sitting on a rail in front of a barbecue restaurant — had words with Joshua Philpot when he walked in front of the defendant. “Oh, you’re shaking your head at me,” Pitoau said, according to the prosecutor. Pitoau put on a pair of black gloves and pulled up his shirt to reveal a gun, Reilly told the jury. After the shooting, Pitoau escaped through downtown, tried to get on the trolley and posted a message that said, “I shot someone. (They) all over me downtown,” according to the prosecutor. The gun was recovered the next morning, but Pitoau wasn’t seen for a month, when he was arrested at the border and turned over to U.S. authorities. He had shaved off his beard and cut off two long braids, Reilly said. Deputy Public Defender Jessica Marshall told the jury that Jason and Joshua Philpot had been drinking all night and were kicked out of a bar shortly before the shooting. She said her client was standing in front of the barbecue restaurant, eating chips and waiting for a ride, when Joshua Philpot said “something very offensive.” Marshall said the victims’ stories have not been consistent. The defense attorney said the prosecution wouldn’t be able to prove that Pitoau didn’t act in self-defense when Jason Philpot grabbed at the gun and it went off.